2017 was the biggest UK Coffee Week to date. It wouldn’t have been as amazing as it was without the incredible independent coffee shops who joined us in celebrating great coffee and raising funds for Project Waterfall. Take a look through our top 10 independent coffee shop fundraisers of 2017; will they remain on top for 2018, or will a surprise new comer take the title? TY has come in 1st place as top fundraiser for 3 years in a row, and are on board for UK Coffee Week 2018 to try and claim that title once again with their amazing fundraising ideas. The team at TY are overflowing with passion and creativity, and they show it every day. 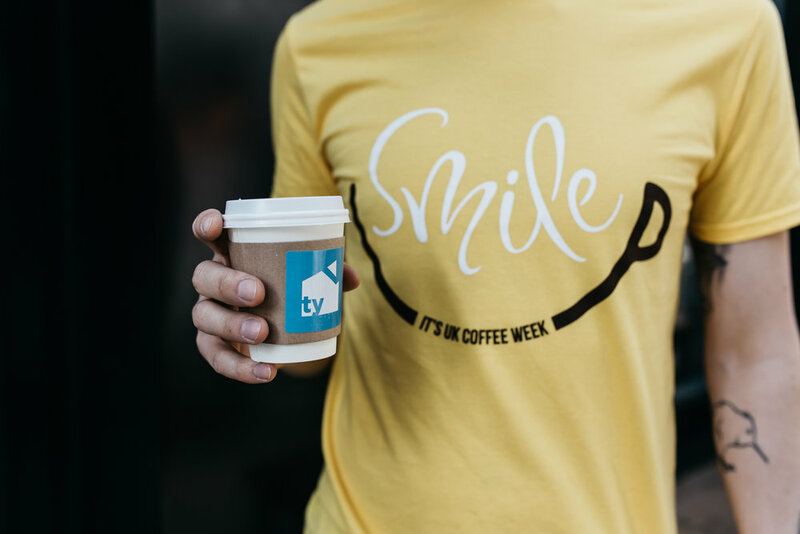 Whilst TY Soho may have closed its doors for good last year, TY Seven Dials is still cranking up the support for UK Coffee Week and Project Waterfall, all while serving delicious coffee! 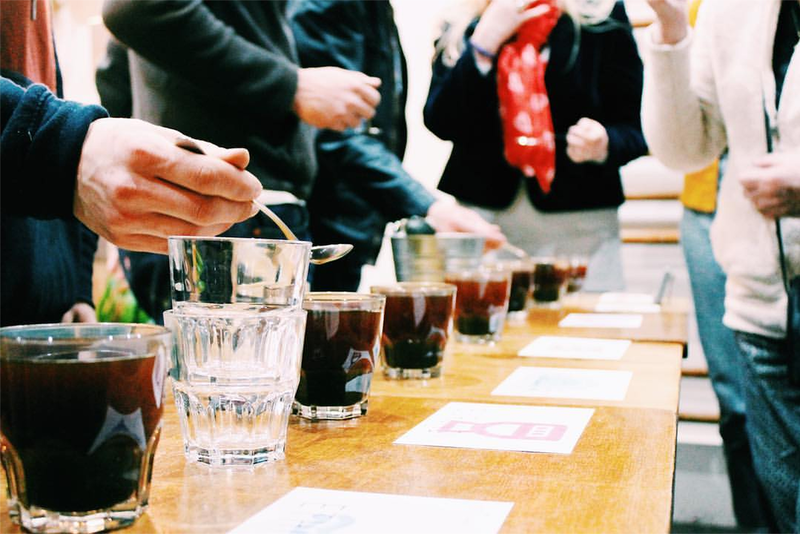 How: Hosted a free Coffee Masterclass, held a raffle, and even threw a Coffee Party. After claiming 3rd place in our top fundraisers back in 2016, Tintico pulled it out the bag and reached for the top, claiming second! Just a two-minute walk from the Finchley tube station, Tintico is the perfect place for the pre-commute pick me up. Who says you have to sacrifice quality for convenience? If you’re looking for a great coffee on the go, or a place to sit and relax for a bit, this lively local spot is perfect. Will they climb even higher and challenge TY for the top fundraiser award? How: Donated 10p to Project Waterfall from every coffee sold, held a latte art class for new owners and enthusiasts. Since opening in 2009, Kaffeine has established itself as one of London’s pre-eminent coffee venues. With 2 beautiful locations and incredibly talented baristas, Kaffeine has developed a loyal following from London’s coffee community. We’re thrilled that both Kaffeine venues are taking part again in 2018; they could be in the running to get both stores into the top ten this year! This small coffee shop in Bethnal Green is also a social enterprise dedicated to working with people affected by homelessness. 2017 was their first year supporting UK Coffee Week, and though smaller than some of the other stores on this list, they were one of the top independent fundraisers. We couldn’t be prouder that a social enterprise as awesome as Second Shot supports UK Coffee Week as well! The Opposite Café aims to be just that, the opposite of your average café. Living by their values of individuality, creativity, community, quality and enthusiasm you can truly see what makes this place (and their other Leeds store) different than the rest. As a community space for all the art students of Leeds, you’re sure to find something to inspire you here. We're looking forward to Opposite taking part in 2018! How: They donated 10p of every hot drink sold for not one, but two weeks! Like it’s namesake, White Mulberries is a sweet find, a rare combination of beautiful setting and great coffee. With beans from some of the top UK and international roasters and even award winning ‘super moist’ brownies, it is truly a must for any coffee lover. Rana and the team have been a part of UK Coffee Week since the beginning and haven’t been out of the top ten since! 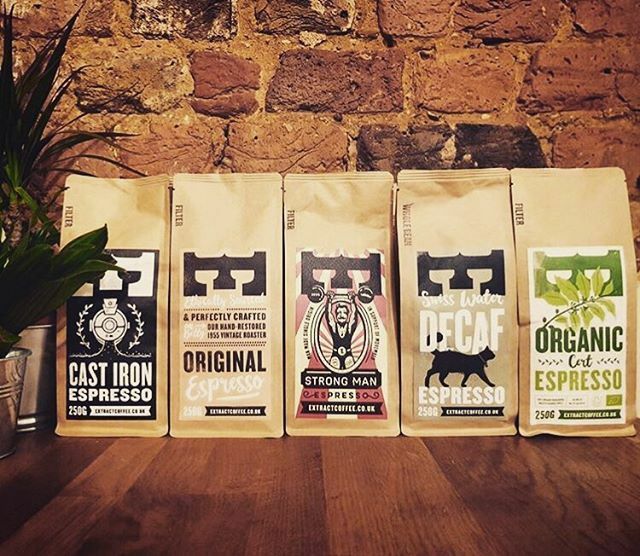 These guys have one simple mission: make coffee better for BRistol and beyond. Extract shows their commitment to quality by roasting arabica beans exclusively and working hard to ensure all their coffee is ethically sourced. It was their first ever UK Coffee Week in 2017, so we’re really excited to see if they can beat their fundraising amount this year and make it into the top ten again! There are plenty of coffee shops that do what Stir Coffee does, but few who do it nearly as well. 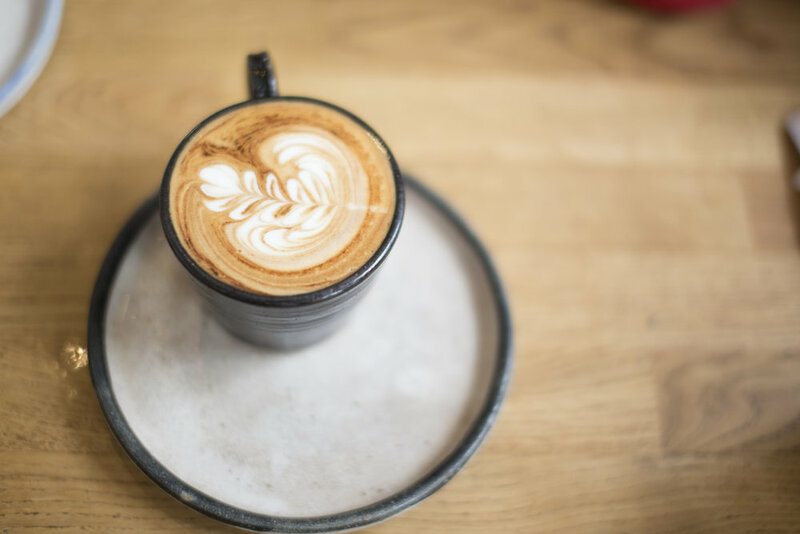 The perfect combination of delicious food, amazing coffee and great location, Stir Coffee in Brixton is a great place to relax and enjoy a great cup of coffee. We hope Stir can pull out a great fundraising campaign for UK Coffee Week again this year! First appearing on Portobello road in 2015, this Australian outpost of virtuous eating has become a major destination, and not just because of visitors hitting the antique markets. People come here for great food, great coffee and emphasis on healthy living. Another first time participant, Farm Girl pulled it out of the bag to get 9th spot in our top fundraiser list, and we’re more than excited to see what they have planned for 2018. How: Donated the cost of every takeaway cup/lid, donated 50p for every filter coffee sold, and £1 from every coffee based cocktail. Caravan is firmly within the major leagues of in both London’s coffee and casual dining arenas. The knowledgeable baristas, worldly food menu and wide range of coffees offer and excellent opportunity to experiment with coffee and food pairings. Caravan’s Laura Harper Hinton sits on the Board of Trustees for Project Waterfall, so she knows just how important it is to be involved in UK Coffee Week and give back. Maybe we’ll see their two other stores in the top ten fundraisers this year! Whichever coffee shops are our top ten fundraisiers for 2018, we're certain that the hundreds of independent coffee shops registered to take part will give it their all to raise a huge amount of funds for Project Waterfall! UK Coffee Week 2018 will run 16-22 April. If your coffee shop is not yet registered, please get in touch with Laura at lnewby@allegra.co.uk or call +44 (0)20 7691 8814 to get involved!